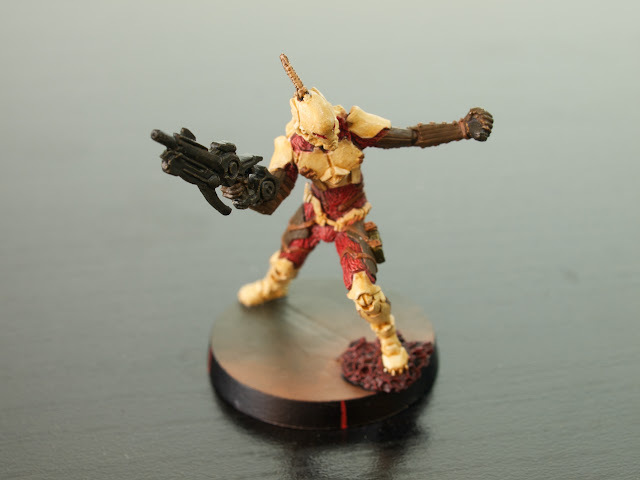 I painted 3 models in March, which is a really high turnover for me. 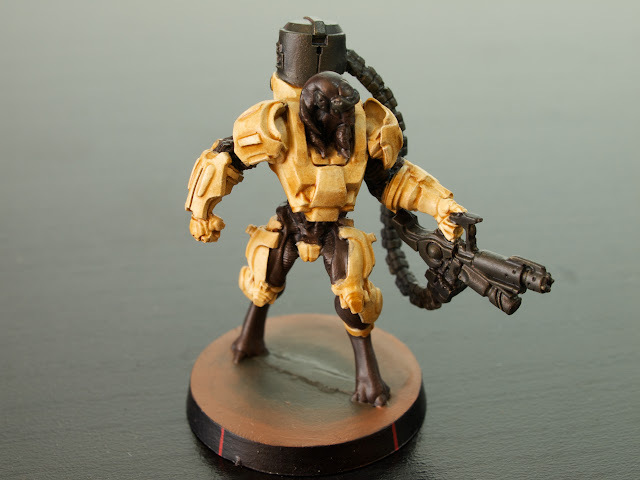 Â The monthly painting challenge threads on the main Infinity forums have been really motivating, and I’m also going to be doing a two-month painting contest in April/May on Data-Sphere. I did one of the new Daturazi; I’m fairly happy about how he came out, but I had some issues going back and forth on how much shading he needed to give good muscular definition. Due to some paint bottles drying out, I had to make some substitutions from my normal color selection. highlight/shadow: none! Â I’m open to suggestions that would be a good tonal match. Â All my shading attempts have looked bad. 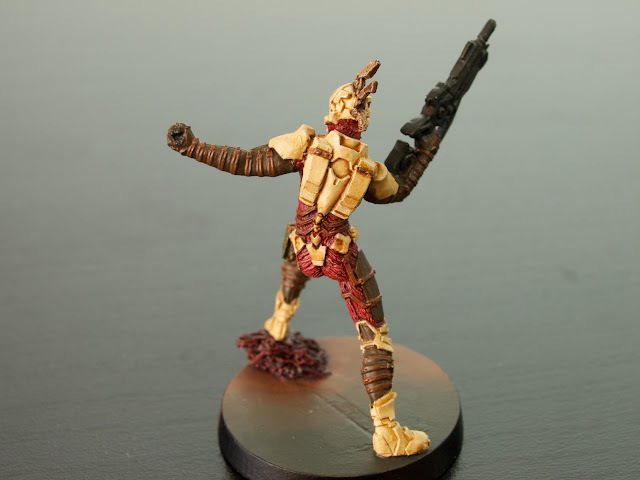 I’ve got a number of Tohaa models painted, but these are the first I’ve posted online. 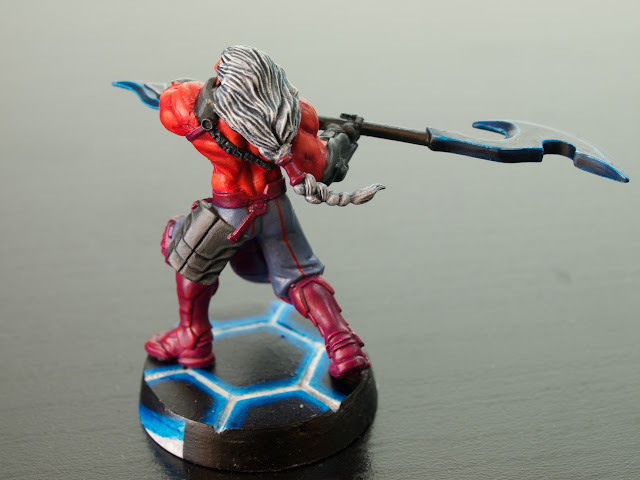 Â I finished an old, half-painted Sakiel from last year’s escalation league and then did a Chaksa Auxiliar with HFT from scratch. 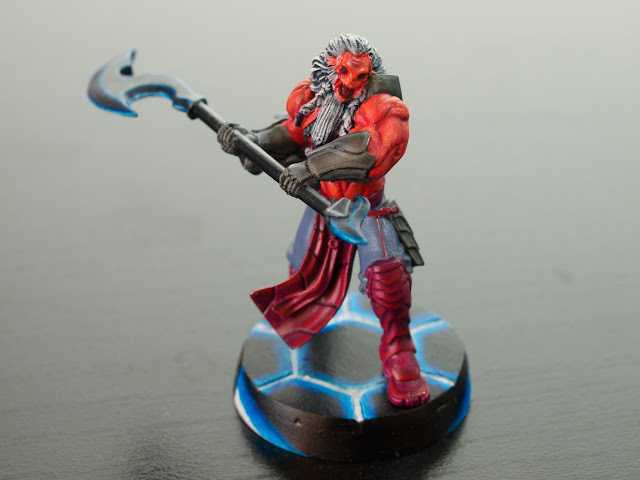 Â I continue not particularly liking the Chaksa sculpts. 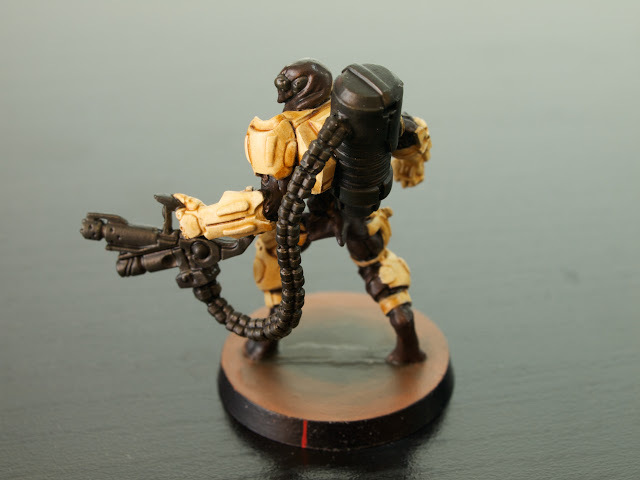 My Tohaa scheme was intended to be very speed-paint friendly. Â Everything is just a solid base coat + wash. Â I gave them a very naturalistic color scheme due to the large amount of horns, spears and so forth that they have. Â They come off as a very primitive aesthetic to me, with lots of horned skull helmets and degenerate beast-man companions in the Chaksa.